This month we have recommendations for three recently released books that will spark your curiosity and whizz you off on exciting adventures—just what is needed as the fall sets in and our own summer adventures come to a close. 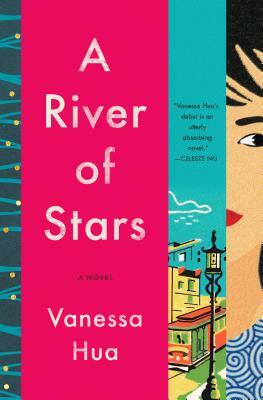 Christina Consolino, Senior Editor and Profiles Editor, enjoyed this one: "San Francisco Chronicle columnist and short fiction author Vanessa Hua has described her debut novel, A River of Stars, as 'a pregnant Thelma and Louise.' It's been years since I watched that movie, but upon hearing her description, I knew I needed to pick up the book. The story revolves around Scarlett Chen, a native of China who becomes pregnant with her first child by her married boss (Boss Yeung). Thinking that the child Scarlett carries is a boy, Boss Yeung sends her to Perfume Bay, a maternity home in Los Angeles, where she is set to be cared for until the child is delivered. A child born on U.S. soil automatically becomes a U.S. citizen, something prized by Boss Yeung. When Scarlett learns some news about her baby, she chooses to leave Perfume Bay in a hijacked van, but she is soon shocked to discover a stowaway: one of her fellow maternity-home inhabitants, Daisy. The strong, spirited pair flee to San Francisco's Chinatown and strive to overcome both their current circumstances and their past, all with the hopes of making a worthy future for themselves. The book tackles many themes—immigration, identity, class, privilege, and parenthood among them—but does so with emotion and a stylish grace. I'm looking forward to reading more by Vanessa Hua." 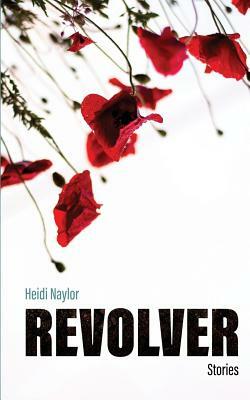 Susan Rowe, Literary Reflections Editorial Assistant, shares this one: "What's remarkable about Heidi Naylor's debut collection of stories, Revolver, isn't their lush language, nuanced plots, or even the vast array of settings she manages to include in one slim volume—from Victorian England to a Pennsylvania steel town to a railway trestle outside Great Salt Lake. Any one of these accomplishments is cause for celebration, but what makes Revolver such a delight to read are the complex and beautifully rendered characters that inhabit these stories. In the title story we meet Hal Klink, whose peaceful, small-town existence as a widower with a grown, American daughter would never suggest his true allegiance during the Second World War. His attendance at a Memorial Day event prompts the return of a horrifying memory that forces him to see the comforts of his present in the context of his past. Then there's the recently divorced Ripley McCord, a self-absorbed businessman who agrees to meet his ex-wife for a drink on the eve of his 58th birthday in 'A Season of Curing.' Throughout the evening, McCord battles himself to overcome the petty annoyances and past hurts that have marred every relationship he's ever had. McCord appears again later in the collection, this time in a chance encounter with the character Ginger in 'The Mandelbrot Set.' The teenage Ginger suffers an attack that changes her from a curious, idealistic young woman into a reclusive, relationship-avoiding adult whose only comfort is in the logic of math. Despite their varied circumstances, the characters in Revolver share a common struggle. 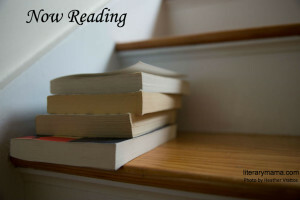 They balance precariously between the past and a future that holds out hope that life has more to offer—more beauty, more mystery, more surprise—if only they will dare to believe it." 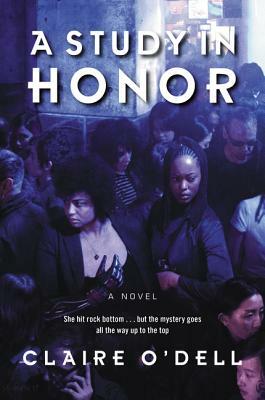 Hope Donovan Rider, Managing Editor, suggests this futuristic twist on a popular classic: "I just finished A Study in Honor by Claire O'Dell, a clever and pointed reimagining of Sherlock Holmes and Dr. Watson as two African American women in a frighteningly plausible dystopian near future. The United States has slid into the New Civil War, and Dr. Janet Watson has returned to Washington, D.C. from the front with a damaged body and traumatized mind, and a need for justice that is liable to get her in trouble. When Sara Holmes offers her a place to stay, she finds more than she was expecting in the way of friendship, and danger. The characters are sympathetic and relatable, as well as true to the feel of the originals, and the setting is well-done, with just enough futuristic touches combined with realistic details to make it seem like a possible outcome of our current political and technological climate. An entertaining read for fans of mysteries, science fiction, well-drawn characters, and Sherlock Holmes." Can you think of any other classic characters we could give a womanly makeover to? Leave your ideas in the comments, or tweet us @LiteraryMama. You can also follow us on Instagram @Literary_Mama and Goodreads for more recommendations.